High frequency transducers are single element contact or immersion transducers designed to produce frequencies of 20 MHz and greater. Contact transducers are available in frequencies up to 225 MHz. Performance is dependent on pulser/receiver and application. 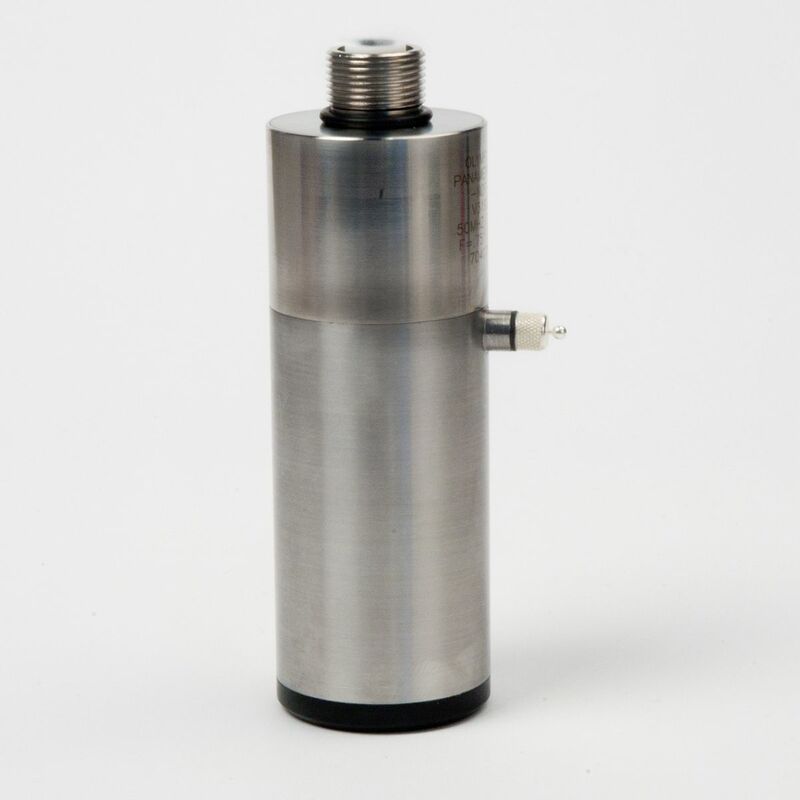 All transducers are manufactured on a special basis to customer specifications. Contact us to discuss applications. Click image to enlarge diagram. Please contact us for transducers in higher frequencies. *Transducers create surface waves in steel, titanium and other materials with similar velocities. Please contact us for higher frequency. Lightweight High Frequency transducers are an alternative to the SU/RM case style transducers. They offer a smaller case width and lighter weight without sacrificing performance.